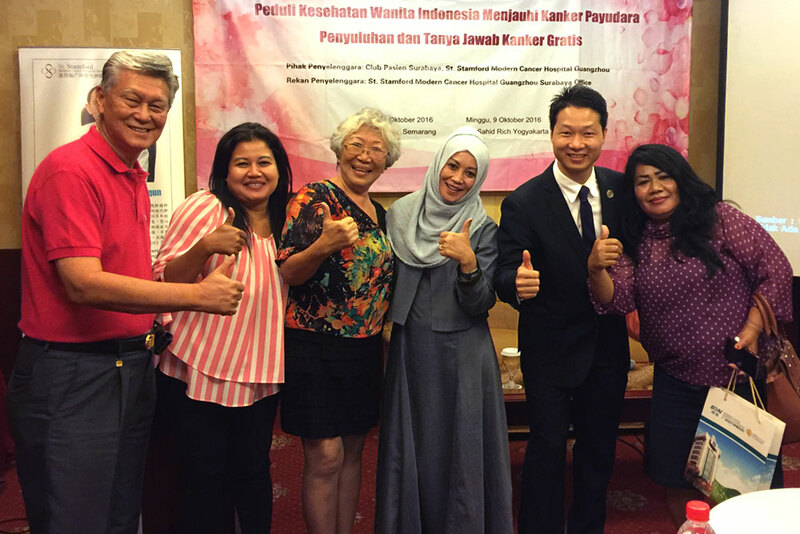 As a open-minded person, Indahwati becomes friends with many nurses and doctors. 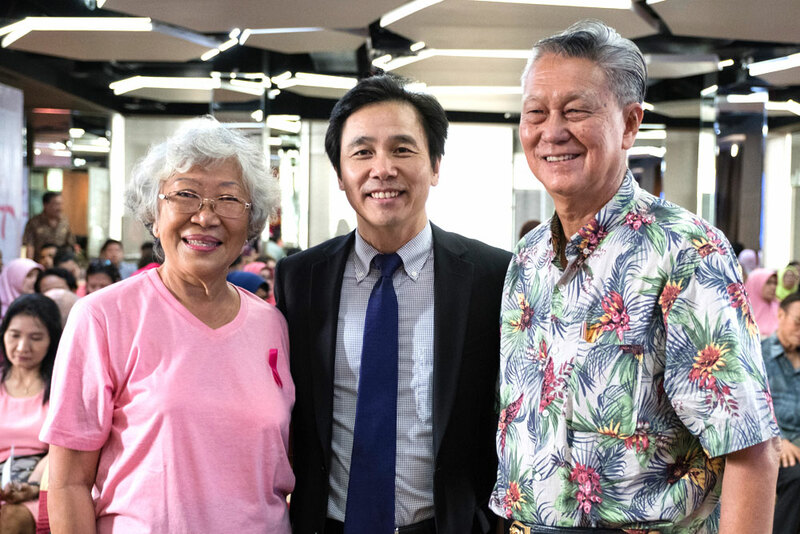 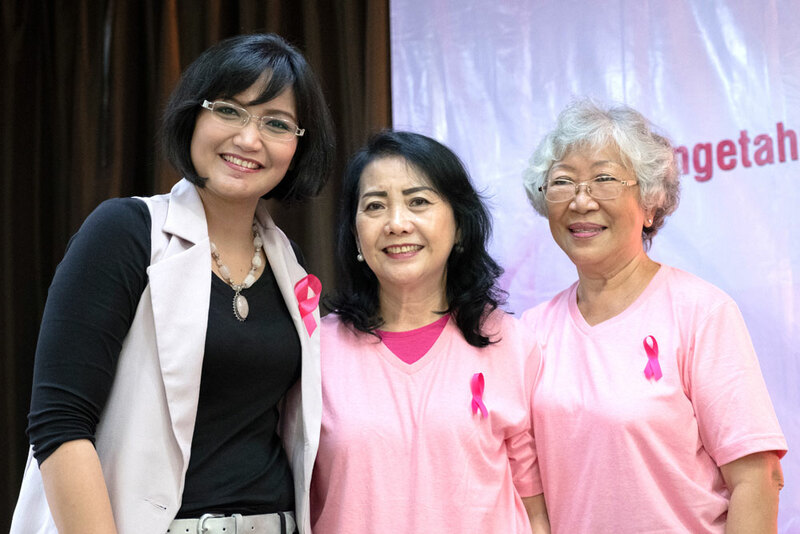 Knowing that one of her doctor friend, Prof. Peng Xiaochi(middle), would also show up on the Pink Ribbon Campaign, they specially took a photo together. 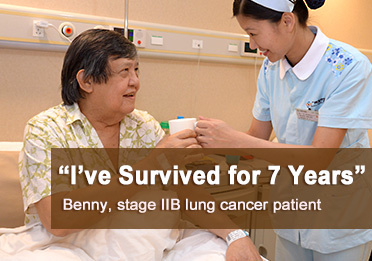 So far, 6 years has pasted, there is no sign of recurrence. 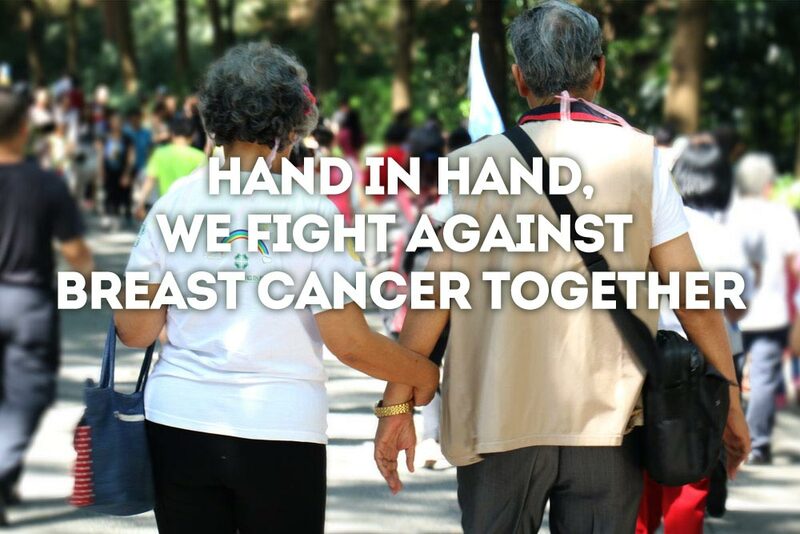 We sincerely wish Indahwati a healthy and happy life, besides, we also wish other cancer patients a strong and optimistic mind to defeat cancer like Indahwati. 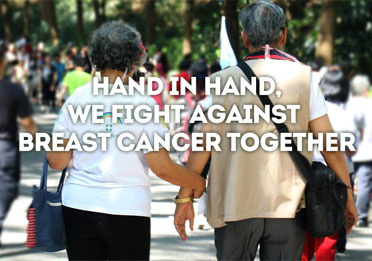 Indahwati Iwan, a 71-year-old woman who has been survived for 6 years since being diagnosed with breast cancer in 2011. 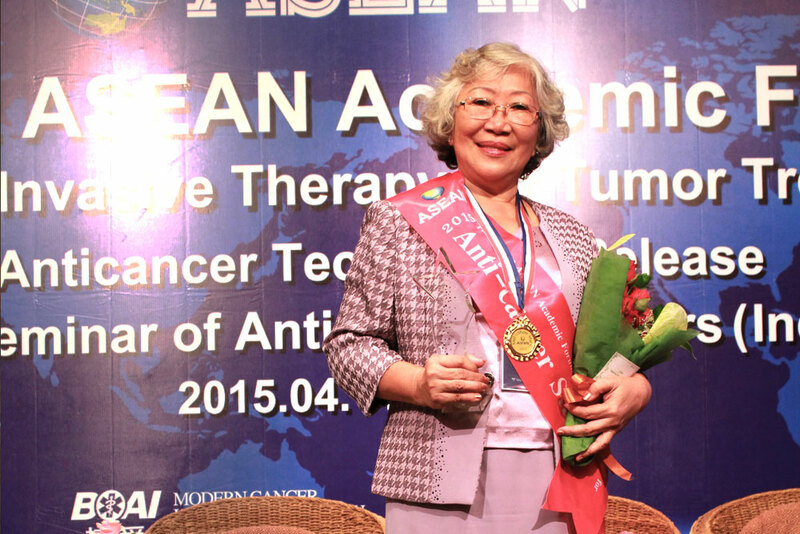 Her life is back to normal after receiving comprehensive treatments. 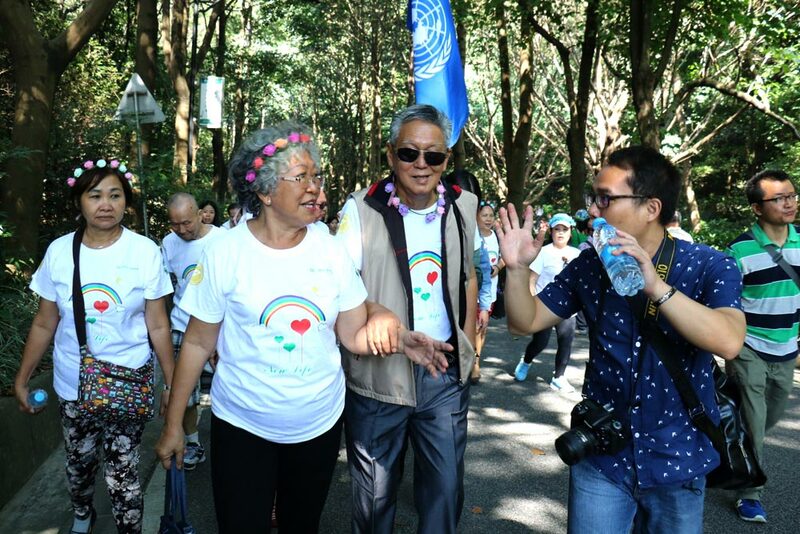 During the past 6 years, her husband always accompanies her no matter what she does. 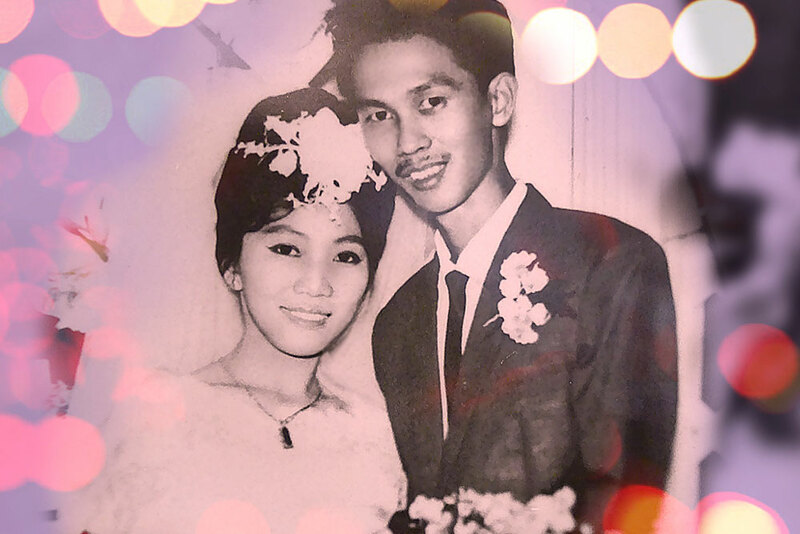 The most soulful confession is companionship, their love never changes though they have been married each for 50 years. 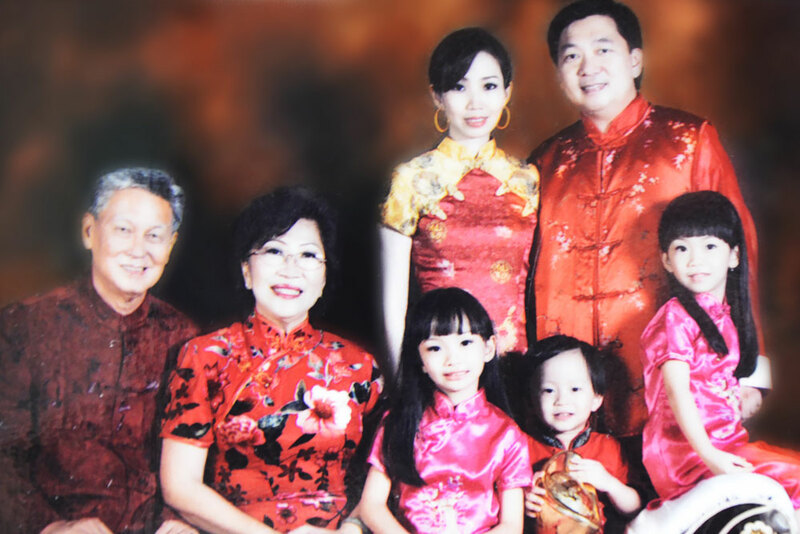 Indahwati was accidentally diagnosed with stage II breast cancer because of diarrhea in Nov. 2011. 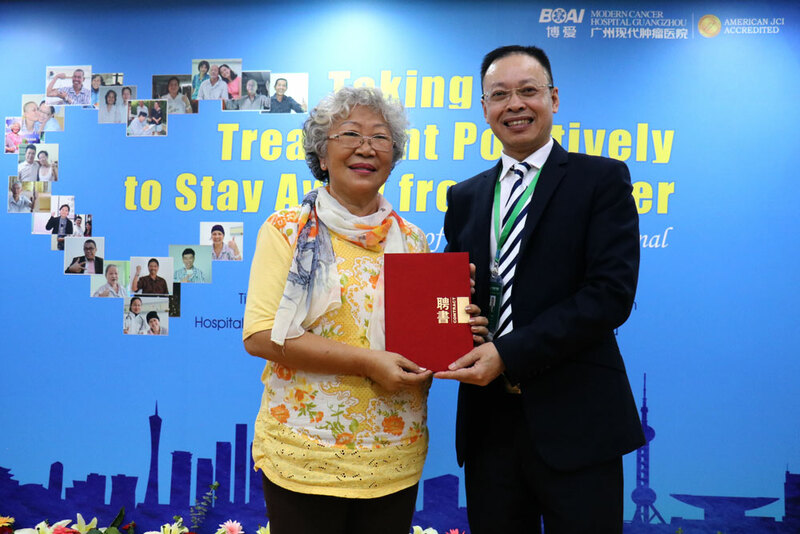 She had radical mastectomy and interventional therapy soon afterwards, and was discharged from hospital three months later. 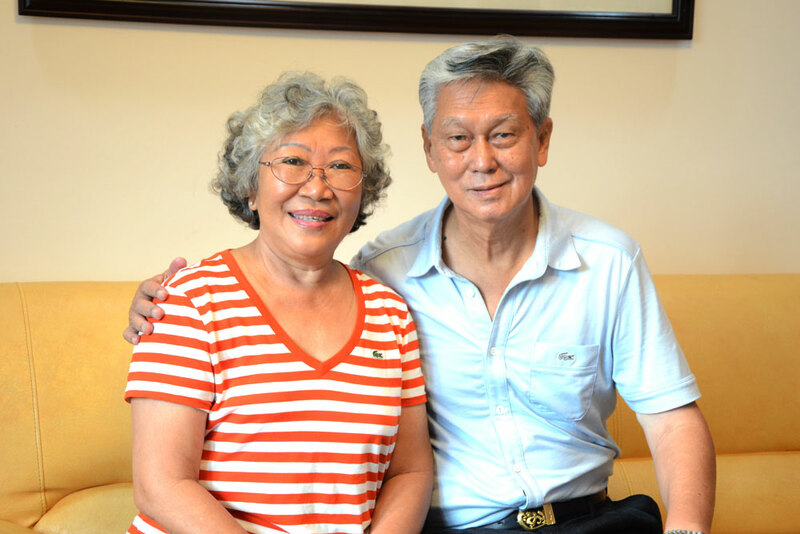 During her hospitalization, her wo mehusband has always been there for her, looked after her and gave her courage to fight against cancer. 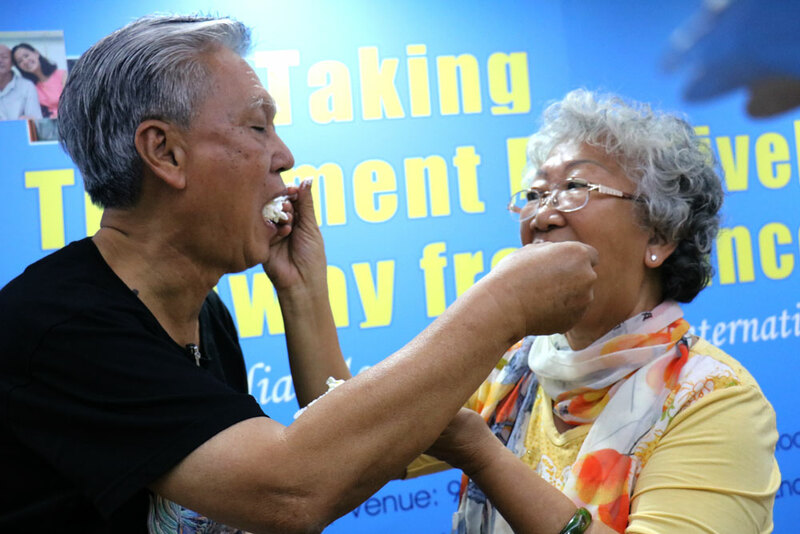 On the golden wedding ceremony(July 31,2014), their happy moment was eternally fixed by the camera. 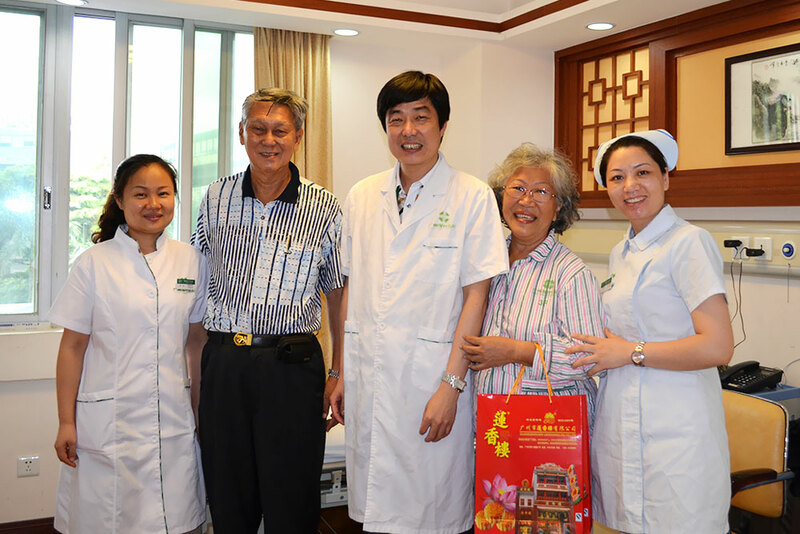 “Very grateful to Modern Cancer Hospital Guangzhou, this ceremony will be regard as one of our most unforgettable memory.”they said happily. 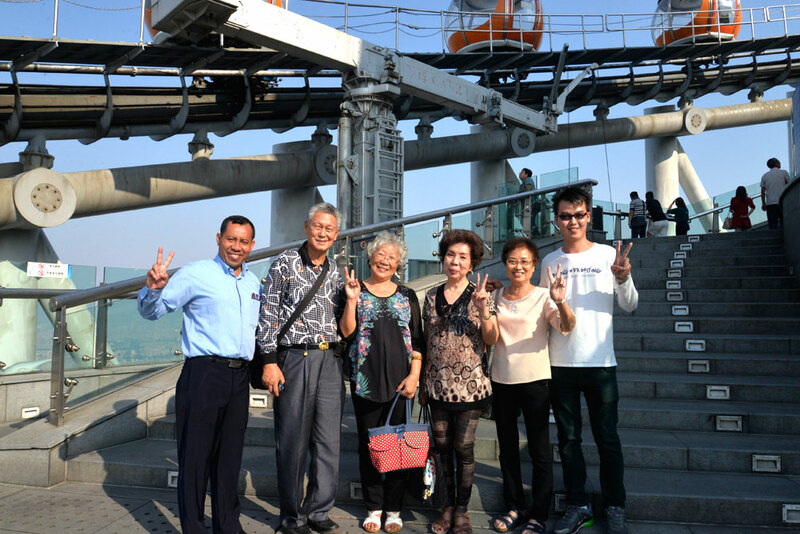 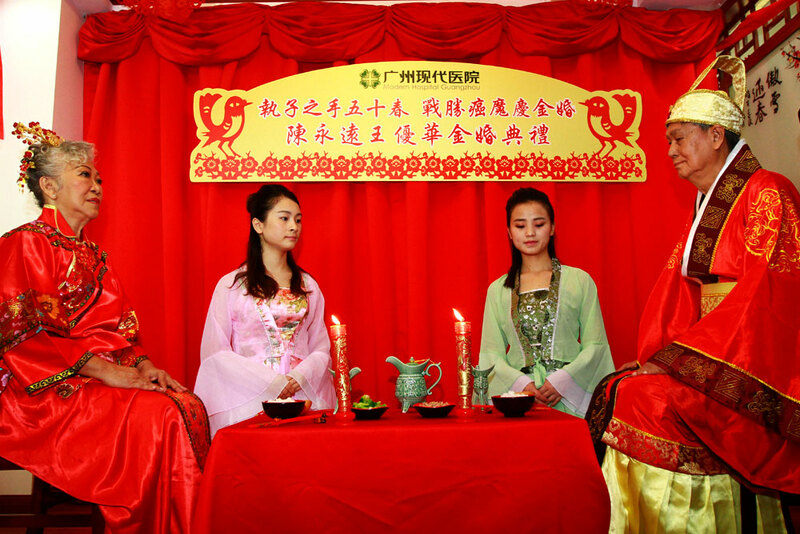 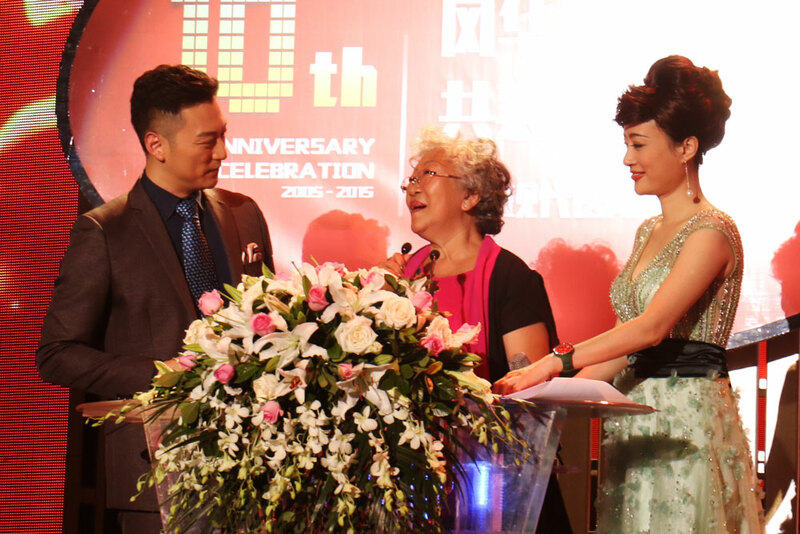 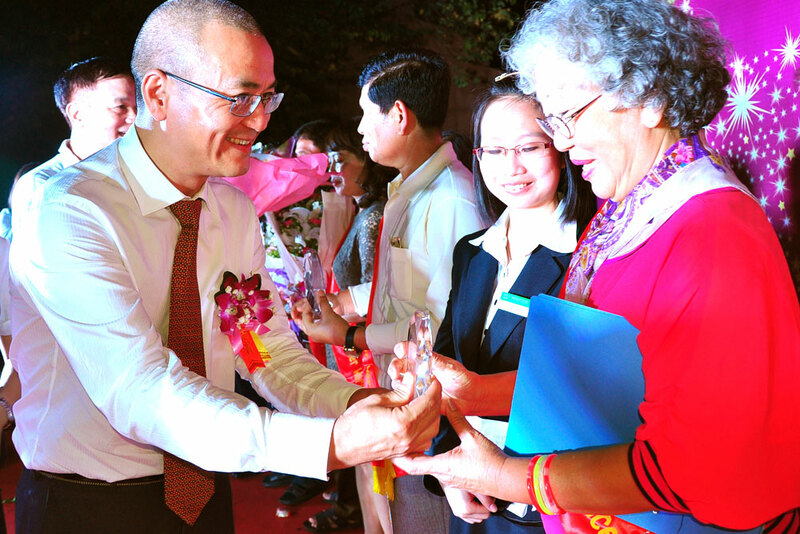 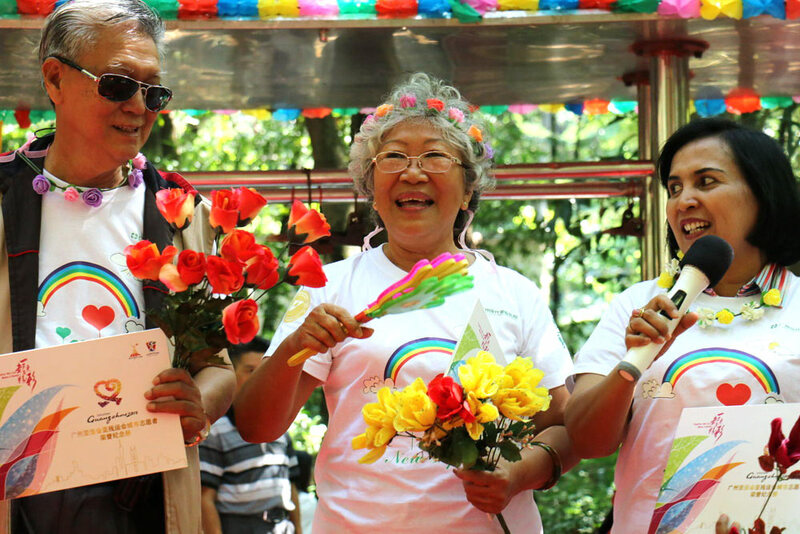 A get-together between anticancer warriors and Baiyun Mountain Chorus was held on October, 2015. 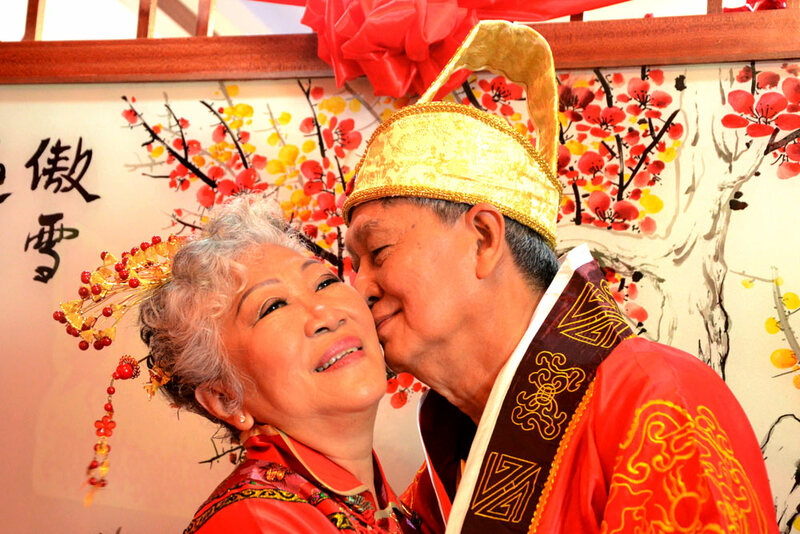 Indahwati and her husband is singing a traditional Indonesian song with affectionateness.